oOh!media Limited has entered into a binding agreement to acquire 100% of the share capital in Adshel from HT&E Limited for cash consideration of $570 million. The acquisition value implies an EV/EBITDA multiple of 11.6x pre-synergies, or 8.7x post-synergies. The completion of the acquisition is expected to be in 2018 and is subject to ACCC approval. The purchase price will be funded with a combination of new debt and an equity capital raising. oOh!media is undertaking a fully underwritten 1 for 2.3 pro rata accelerated non-renounceable entitlement offer to raise approximately $329.9 million (entitlement offer). oOh!media has arranged fully underwritten new debt facilities in connection with the acquisition, with a total facility limit of $450 million (New Debt). The New Debt will be used to refinance existing oOh!media debt, partly fund the Acquisition purchase price, and to retain flexibility for future capital expenditure and general corporate purposes. The acquisition is expected to be low double digit EPSA accretive on a pro forma CY2018F basis for oOh!media. This includes expected cost synergies but excludes one-off integration costs and transaction costs. Cost synergies from the acquisition of Adshel are estimated to be $15-$18 million and are expected to be 60% realised in 2019 and fully realised in 2020. These synergies are expected to predominantly comprise savings from leveraging combined infrastructure with duplicated resource rationalisation and reducing outsourcing costs. 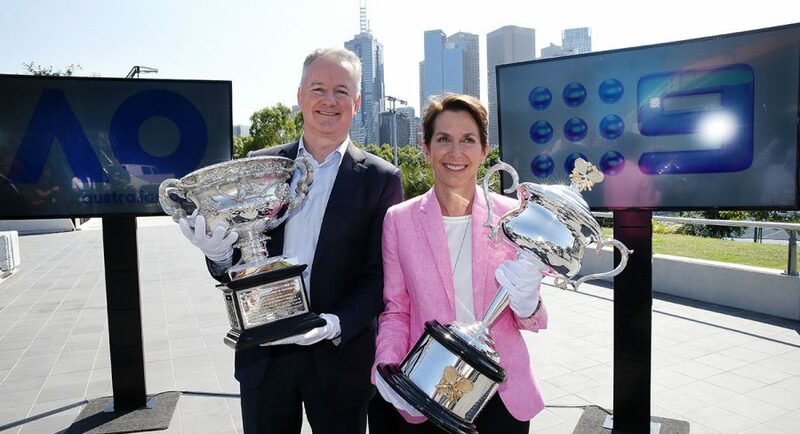 Nine has reached agreement with Tennis Australia and the Seven Network to bring forward its rights deal to broadcast tennis by one year. The new deal means Nine will be the home of Australia’s highest-rating summer sport for six years, commencing in January 2019. 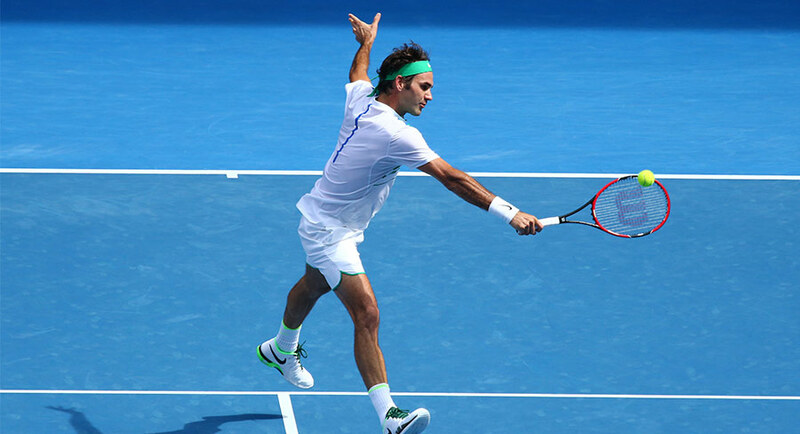 Under the terms of the agreement, Nine has now secured the exclusive rights to all world-class tennis played in Australia from 2019 to 2024. The rights granted for the one-year extension are exactly as per the original deal, meaning Nine has acquired all audio-visual rights for broadcast, streaming, mobile, digital and social platforms, starting with the coming summer of tennis. In return for agreeing to take on the rights one year early, Nine was able to secure the 2019 rights for a cost of $48.5 million, compared to $60 million from 2020. The six-year deal encompasses the Australian Open in Melbourne as well as the lead-up tournaments around Australia – the Hopman Cup in Perth and the Brisbane, Sydney and Hobart Internationals. Nine and Australian News Channel (ANC), a wholly owned subsidiary of News Corp Australia, have combined to create a dedicated 24-hour business, personal finance and luxury lifestyle channel. The joint venture and new channel, Your Money, will be broadcast free to air on Channel 95, part of Nine’s digital spectrum, and on its streaming service 9Now. It will also be available on Foxtel Channel 601, as well as streaming service Foxtel Now. CEO of the joint venture company will be Kylie Merritt, currently commercial director of ANC, and David Ash, formerly of Nine digital, will be head of digital for the joint venture, effective immediately. Your Money will cover personal finance, luxury lifestyle, real estate, small and big business market moves with live coverage of the trading day. The on-air lineup for the new channel will feature leading business journalists Brooke Corte and Ticky Fullerton from the former Sky News Business channel. The full on-air lineup will be revealed later this year. 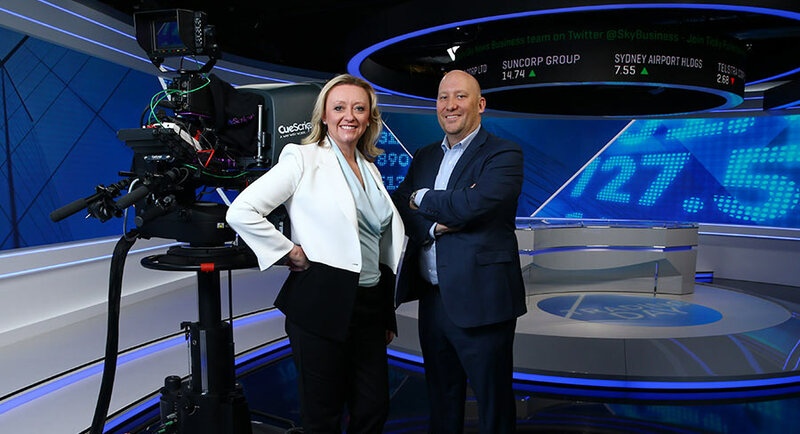 Angelos Frangopoulos, CEO and managing editor of ANC, said: “We are setting the stage for a bold new era in business and finance news and commentary in Australia with a new go-to channel for viewers, businesses and advertisers. Michael Miller, executive chairman of News Corp Australasia, said: “This joint venture presents exciting opportunities for News Corp, for Australian News Channel and for Nine to take a leading position in both the business and consumer markets. The joint venture will form its own management team, program and talent lineup. The Sky News Business channel will cease to exist once the joint venture is launched. 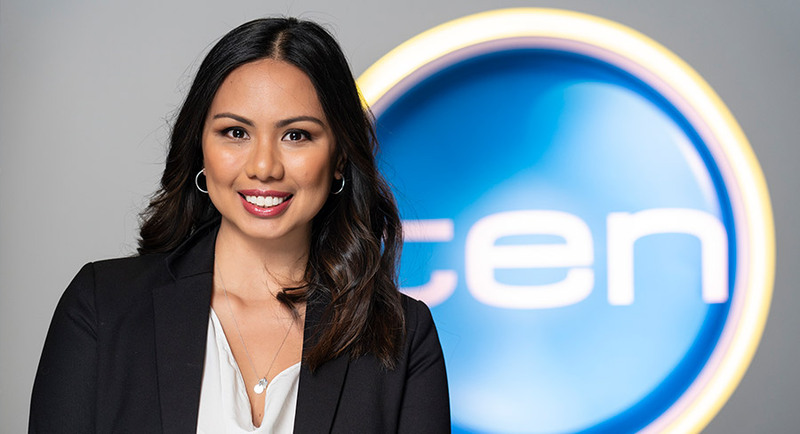 Network Ten has appointed Vida Scott as head of communications, effective July 2. The appointment comes after the departure of Neil Shoebridge, who has opened his own communications consultancy. Scott has broad media industry experience, having held a number of corporate communications and marketing roles at News Corp Australia and APN News & Media (now HT&E). In March 2017, she joined Westpac Group as Senior Communications Manager, working across the company’s group business units. When nine-year-old David Riccio wrote his first NRL match report for his grandparents, little did he know it would be a part of what he was doing as a grown-up. Now, he is the sports writer for The Daily Telegraph and The Sunday Telegraph. 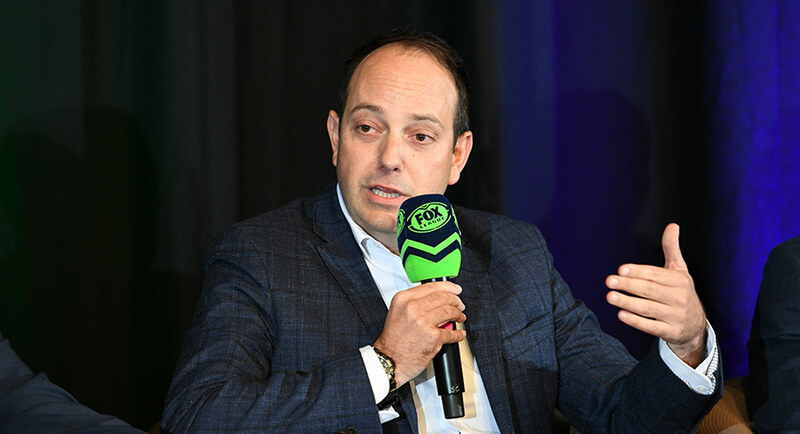 “It’s a piece of paper I would love to see today,” Riccio told Mediaweek after the inaugural The Ultimate Footy Lunch on June 21. He was sitting on a barstool with a small football in his hands branded with Fox League and The Daily Telegraph. Riccio started off in the industry as a mail boy at AAP. “That was my way into the world of media,” he said. He moved to News Corp in 1999 and hasn’t left since. Riccio isn’t only a known name to the readers of The Daily Telegraph and The Sunday Telegraph. He is often seen on Nine’s Sunday Footy Show and heard on Sydney’s 2GB. The digital age has impacted on sports reporting “significantly”, Riccio said. “Social media has had a big part to play in the growth of online news platforms. The announcement of the 2018 TV Week Logie winners is just six sleeps away (or seven if you don’t stay up late next Sunday for all the results). Voting has re-opened today allowing people to vote for their favourite Gold Logie nominee and in the various other reader-voted categories. 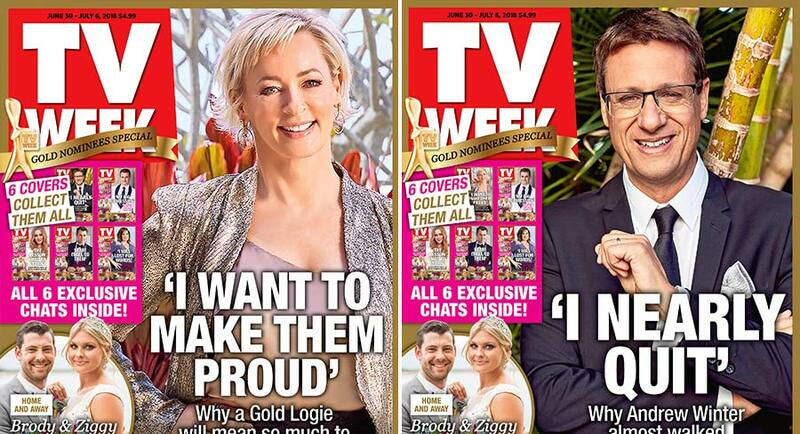 To celebrate the final countdown, the TV Week pre-Logies edition today features six separate covers, each with a different Gold Logie nominee. 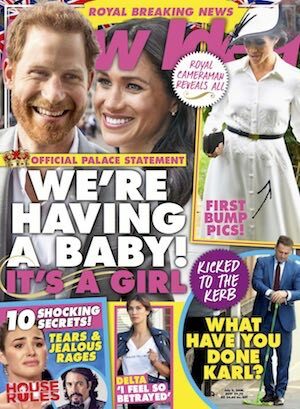 To find out about the logistics behind the cover shoots, and for info on how you can collect them all, Mediaweek spoke with TV Week editor Thomas Woodgate. How did TV Week organise six separate cover shoots for your new edition? This was a massive operation for the team. Over two days before the Logies nominations event we flew the Gold nominees to a special location on the Gold Coast for a top-secret photo shoot. Unfortunately, Andrew Winter had to pull out at the last minute due to his Bell’s palsy episode, so he was shot a couple of weeks later. Wendy Moore has unique insight into the media and how it covers the lifestyle sector. She is editor-in-chief of the Pacific brand Home Beautiful and also a judge on Seven’s hit series House Rules. She has been with Home Beautiful for 12 years while the current success of House Rules seems certain to guarantee it will be back for a seventh year in 2019. “The magazine has evolved as the landscape has evolved,” Moore told Mediaweek when she was a guest with us on Mediaweek TV on Sky News Business last week. “When I started on Home Beautiful in 2006, it was a beautiful magazine. At the time it needed to be a little broader in its approach to the market and we made that happen. In a submission lodged with the Competitive Neutrality Inquiry Panel, Free TV has called for greater regulatory oversight to ensure that ABC and SBS are playing strong and distinctive roles in Australian’s media landscape in line with their charters. The release focuses on SBS programming decisions in particular. Free TV Chairman Harold Mitchell commented: “Like most Australians, we value our national broadcasters. They have an important role in our media landscape. Free TV CEO Bridget Fair added: “Independent analysis has confirmed that of the top 150 shows across SBS One, SBS VICELAND and SBS Food Network, over 55% was commercial content unaligned with their Charter. Under the model proposed by Free TV, a new requirement would be introduced for SBS to take account of the services provided by the commercial sector – mirroring the requirement that already applies to the ABC. The ACMA would be tasked with undertaking annual competition and charter reviews to report on the performance of the national broadcasters in delivering on their charters. Free TV has also called for the ABC and SBS Codes of Practice to be registered by the ACMA in the same way as the Commercial Television Industry Code of Practice. Fair said: “We have recommended that the Panel reinforce the crucial role that national broadcasters play in the lives of Australians. Our proposals are absolutely focused on that. We will from today be publishing weekly video games retail sales charts, supplied by the Interactive Games & Entertainment Association (IGEA). See more about the growing industry that makes more annually in Australia than the box office and TV combined in our interview with IGEA CEO Ron Curry, published this week. This week’s Australian charts are a mix of recent releases and some big name games that are back in the charts thanks to other circumstances. 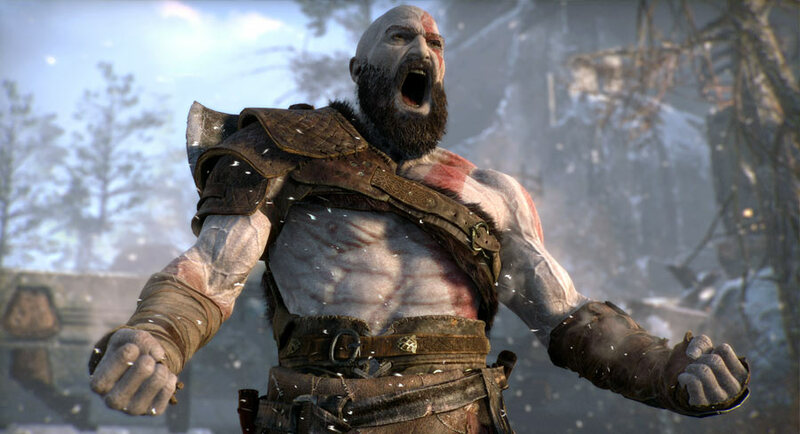 The universally acclaimed PS4 exclusive God of War, rated 10/10 on IGN, continues its presence at the top of the charts. It’s a strong achievement for a game released over two-and-a-half months ago, especially for a single-player only game in what’s currently a multiplayer-obsessed market. 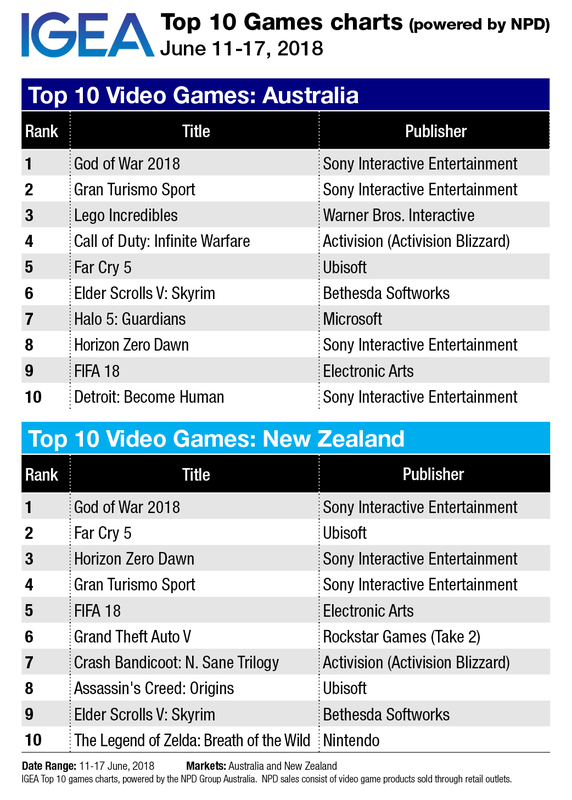 Sony’s Gran Turismo Sport working its way up to second spot is interesting also. GT Sport launched in October last year to a more lukewarm reception than usual for the series, but has since been bolstered by regular free updates. The game is also part of Sony’s new PlayStation Hits range, priced at an attractive $24.95. 2015’s Halo 5: Guardians is a surprising entry considering its age, though it’s currently available for less than $20 as part of EG Games’ aggressive midyear sale. FIFA 18 is another lasting performer, but there’s little doubt the current World Cup (and the game’s recently added World Cup mode, which was made available as free downloadable content) is a factor here. One important note is that this chart only indicates what’s going on in retail and doesn’t factor in digital sales (digital downloads exceeded physical console and portable software sales in Australia in 2017 by approximately $366 million). This naturally means successful digital games like PlayerUnknown’s Battlegrounds (which just celebrated 50 million units sold worldwide) and the free-to-play Fortnite Battle Royale (which was recently released on Nintendo Switch, racking up over two million downloads on its first day of availability) are not reflected in the chart. 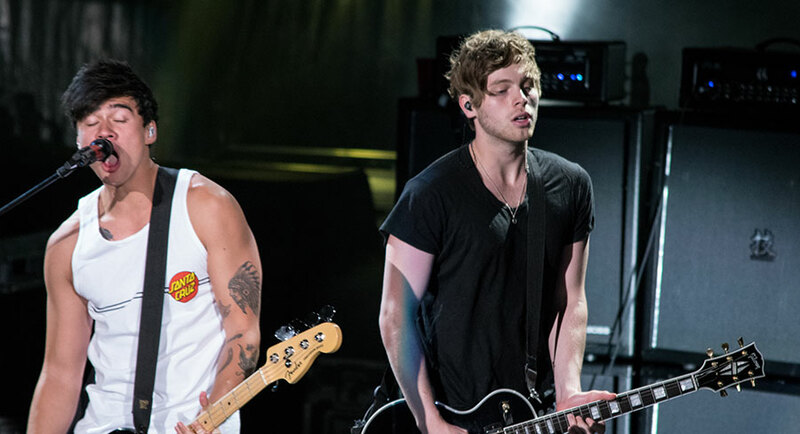 There is no stopping 5 Seconds Of Summer on the ARIA charts. They have achieved the very rare double of a #1 single and a #1 album at the same time. Their single Youngblood, the title track from the new album, is spending its fifth week on the top of the chart. It is a massive achievement and is it just possible this chart topping could not be over yet? The only new arrival in the top 10 this week was XXXTentacion following his death last week. Sad! It gets its highest chart spot since release – #8 – after 16 weeks on the chart. Meanwhile Changes has re-entered the chart at #34. #17: Nicki Minaj with Bed featuring Ariana Grande. This is the second tune from single Minaj’s forthcoming Queen album to be released in August. 5 Seconds Of Summer have landed their third successive #1 at home with Youngblood straight into the chart at the top. It’s a feat they could perhaps replicate in the US later this week with some people predicting Youngblood could be #1 debut on the Billboard album chart. Youngblood is the Sydney band’s first album since their chart-topper Sounds Good Feels Good was released in 2015. Youngblood is the sixth Australian #1 on the ARIA Albums Chart in 2018 after Sheppard’s Watching The Sky, Parkway Drive’s Reverence, Geoffrey Gurrumul Yunupingu’s Djarimirri (Child Of The Rainbow), Kylie Minogue’s Golden and Vance Joy’s Nation Of Two. #6: The Carters with Everything Is Love. Beyoncé and Jay-Z release their first album as The Carters. #9: Christina Aguilera with Liberation. Her eighth studio album is her first in six years. Despite the State Of Origin, the channel managed to attract its biggest audience of the year so far to House Rules – 948,000. The viewing surge came just days after judge Wendy Moore did a guest spot on Mediaweek TV on the soon-to-be-rebranded Sky News Business. 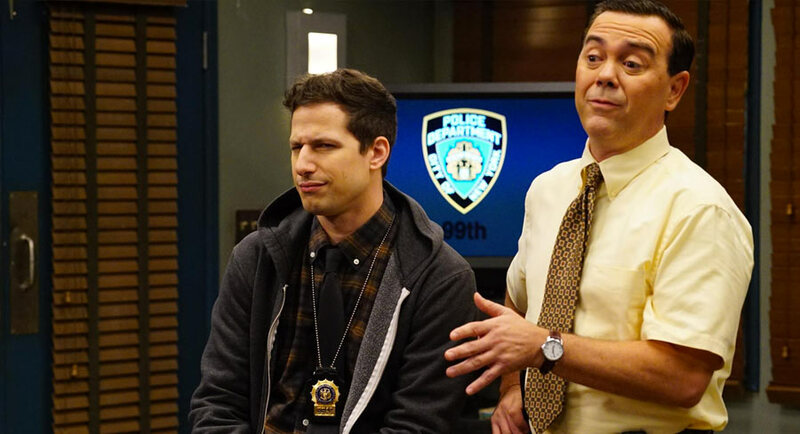 Meanwhile a repeat episode of Sunday Night did 496,000. 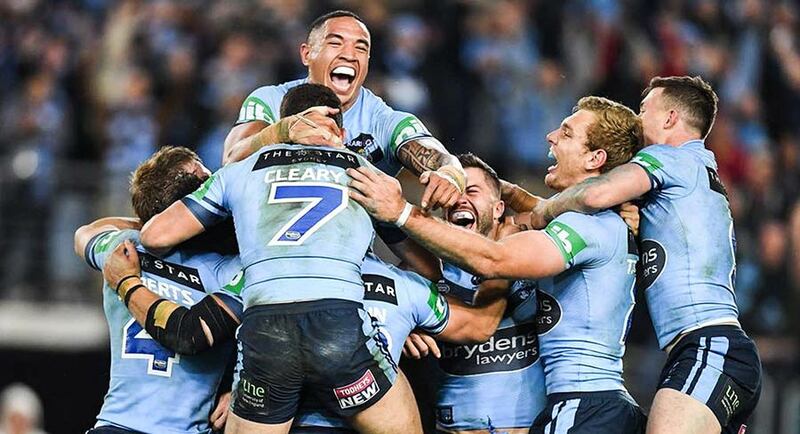 It was all about State Of Origin last night with Nine’s first Sunday match in a long time. While the match dominated and put Nine well ahead of the competition, the numbers were down a little on expectations of what an Origin Sunday might deliver. The match did over 2.1m metro to become the second-highest rating program of the year, behind only Origin 1. The Sydney audience was close to 900,000 while Brisbane was over 700,000. Nine’s winning Sydney primary share was 45.1%, while Brisbane, hoping for a last minute miracle as the match drew to a close, was on 50.7%. Nine also won in Melbourne, but Seven was ranked #1 in Adelaide and Perth. The NSW victories mean there will be less tension in game three with the series already decided. However, Queensland will have pride on the line not to go down 3-0. 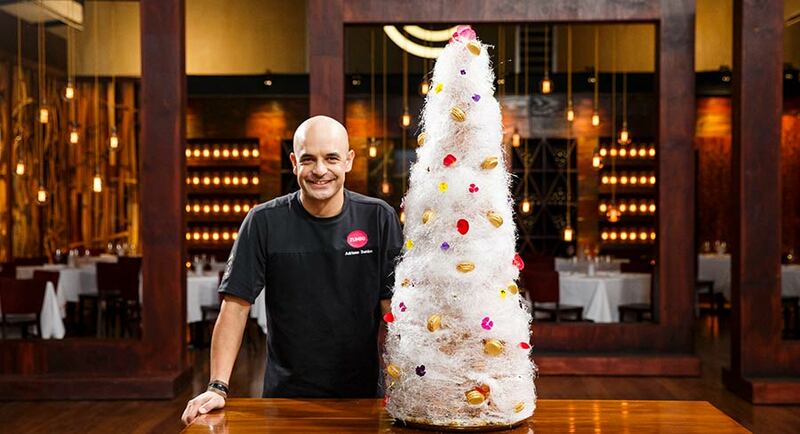 The start of Sweet Week on MasterChef saw the return of Adriano Zumbo to the program after he tried his own shows on SBS and then Seven. A croquembouche challenge tested the remaining cooks with 731,000 watching. Earlier in the night the Sunday Project did 464,000 at 7pm. Grand Designs New Zealand followed the news with 514,000. Mystery Road then did 525,000. It was a great night for football fans as just moments after State Of Origin Game 2 ended people could switch to SBS for the latest adventures of England in the World Cup. The team really turned it on with a decisive victory over Panama for the 566,000 watching. 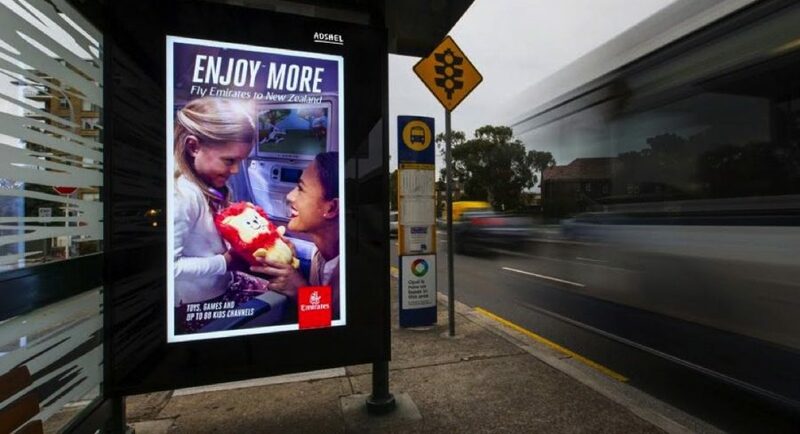 The action around Australia’s out-of-home advertising sector shows no signs of slowing down, reports The AFR’s Street Talk. 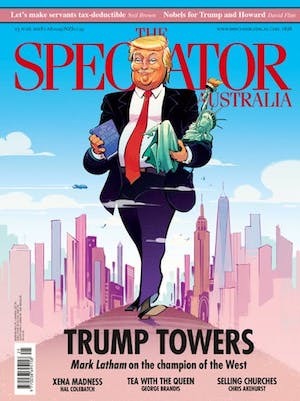 As The Australian Financial Review first reported, oOh!media pounced on Here, There & Everywhere’s Adshel with an all cash bid of $570 million on Saturday morning, while JCDecaux and APN Outdoor, the underbidder for Adshel, re-engaged in potential takeover talks. After estimated synergies of $15 million to $18 million, the agreed acquisition price equates to 8.7 times earnings before interest, tax, depreciation and amortisation. In 2016, HT&E paid $268 million for the 50% of Adshel it didn’t already own, valuing the business at $536 million. After an offer of $1.1b from JCDecaux for APN Outdoor last week, the two companies started engaging overnight on Friday, as revealed by The Australian Financial Review on Saturday morning. It is understood APN Outdoor’s management presented to the board of JCDecaux in the early hours of Saturday morning (Friday in France) and both parties, along with their advisors, were working late into Sunday night to try to get a deal done. Telstra chief executive Andy Penn has declared media remains an important part of his radical overhaul of the telecommunications provider, effectively ruling out selling his company’s stake in the newly merged Foxtel-Fox Sports as part of $2 billion worth of assets sales over the next two years, reports The AFR’s Max Mason. Penn said he was happy with Telstra’s Foxtel stake as is, after Foxtel and Fox Sports merged reducing the telco’s exposure to media. 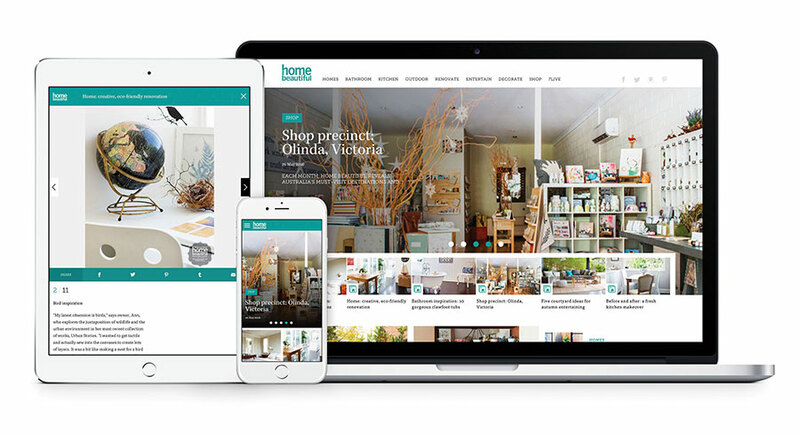 Domain’s acting executive chairman Nick Falloon has unveiled plans for another corporate shake-up of the real estate listings firm, including plans to cut jobs and shift some of its advertising sales operations to Fairfax Media, reports The Australian’s Darren Davidson. 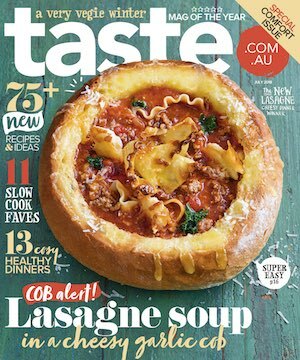 Six months after the surprise resignation of Antony Catalano as chief executive of Domain, Falloon has outlined plans to hand responsibility for parts of the company’s sales unit to Chris Janz, managing director of Fairfax’s newspaper division, Australian Metro Publishing. Between 24 and 26 redundancies at Domain Media Sales could occur, sources said. Bauer restructure: Fiona Connolly editor-in-chief of Woman’s Day, NW & OK! Staff at Bauer Media, which publishes Woman’s Day, OK! 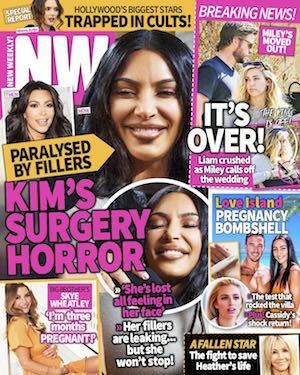 Magazine and NW, were brought to tears last week at news of a company restructure and inevitable job losses, reports Sydney Confidential. 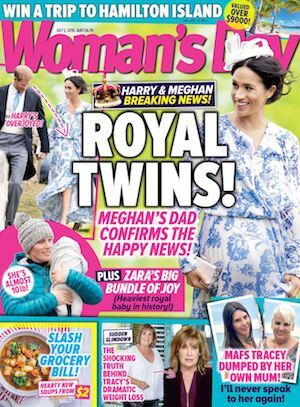 Staff from several of the Bauer Media titles were called into closed-door meetings last Wednesday where a new model for entertainment reporting was announced. During the meeting, staff were told that serious changes were ahead at the company with a centralised reporting model for multiple publications. Yesterday Bauer boss Fiona Connolly confirmed the changes. “We’ve created a Women’s Celebrity Entertainment category encompassing Woman’s Day, NW and OK! magazines and I’m now editor-in-chief of those three titles,” she said. Football superstars Moana Hope and Mat Rogers will compete alongside Olympic swimming icon Shane Gould when Australian Survivor: Champions Verses Contenders premieres soon on TEN and WIN Network. For the first time in Survivor history, 12 everyday contestants, the Contenders, will take on 12 giants of Australian society, the Champions. The Champions tribe is made up of outstanding achievers in physical, intellectual and social endeavours and are used to applying pure grit to gain success. In order to last 50 days and become the Sole Survivor, the Contenders must rise to the challenge to outwit, outplay, outlast. • Damien, Former Special Forces Commando: Damien is an Australian Veteran from the war in Afghanistan where, in 2009, an explosion resulted in him losing both legs and suffer other extensive damage to his body. His commitment to recovery and rehabilitation saw him master the use of his prosthetic legs and go on to compete in two Invictus Games in wheelchair basketball, walk the Kokoda Track and compete in numerous sporting competitions. Damien is also a best-selling author, actor and motivational speaker. • Mat R, Dual Code Rugby International: Mat Rogers originally made his mark on rugby league as a standout player for the Cronulla Sharks for six years. 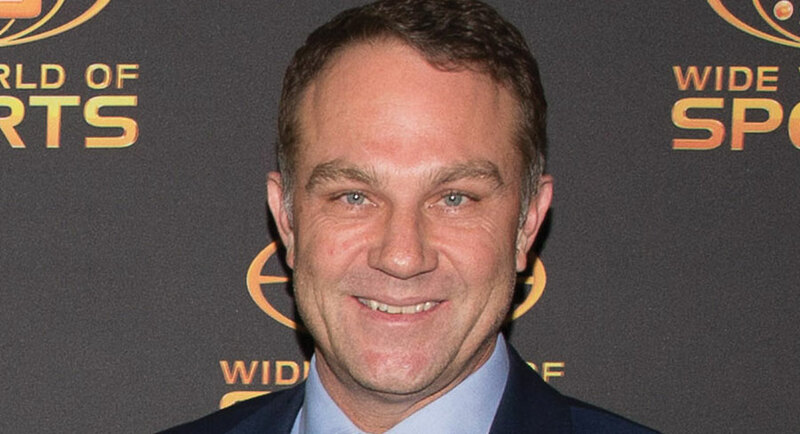 After success representing Queensland and Australia, Mat changed codes to Rugby Union in 2001 where he went on to represent Australia with the Wallabies in 45 test matches. In 2007, Mat returned to league to play for the new Gold Coast Titans before retiring from sport in 2011. Mat now devotes his time to another passion – raising money and awareness for children with autism via his foundation, 4 ASD. • Moana, AFLW Marquee Player: A celebrated and powerhouse player for Women’s Aussie Rules Football, Moana made a name for herself on the field as one of the leading goal kickers in the league. An accomplished junior sportswoman, Moana represented Victoria in cricket and Australian Rules, but decided to give up the summer sport in order to concentrate on footy. One of 14 kids, Moana’s family means everything to her. She is the primary carer for her younger sister, Lavinia, who suffers from Moebius Syndrome, a rare neurological condition. • Shane, Swimming World Record Holder: An Australian legend in the swimming pool, Shane is sporting royalty and one of the world’s greatest female swimmers. Between 1971 and 1973, she broke 11 world records in six different events and is the only woman ever to win five individual Olympic medals. Controversially retiring at the age of 17 and at the height of her success, Shane has gone on to raise four children, earn two degrees from the University of Tasmania, become an author and a passionate photographer. • Jenna, FIFO Supervisor: Working as a supervisor in the mines in Western Australia for the past six years, Jenna happily embraces adventure. An active NFL and AFL player, Jenna is a typical outdoors girl tearing around the bush on her motorbike or wakeboarding. Besides her passions outdoors, Jenna is also a proud mum and counts her daughter as her greatest motivation to achieve. • Robbie, Construction Manager: Robbie has been determined from a young age, competing at a national level in swimming on top of completing his studies. Since jumping out of the pool, Robbie held down three jobs while completing his Masters in Architecture and has now progressed to Construction Manager after years of putting in the hard work and long hours. 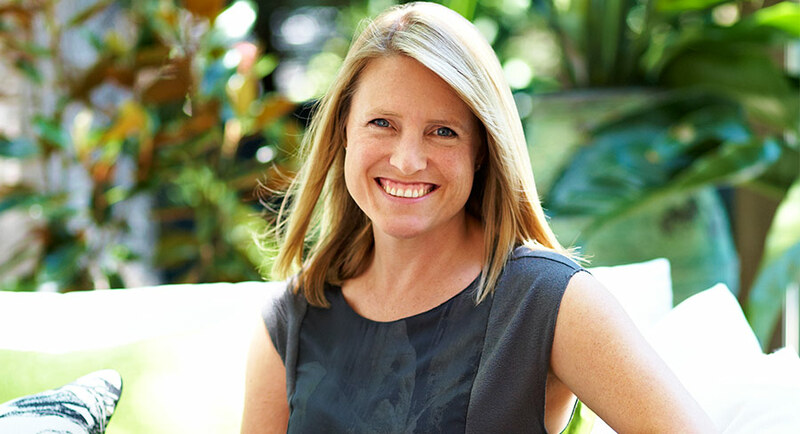 • Tegan, Management Consulting: Even though Tegan’s hometown of Broome is quite isolated, this WA mum of two is well-travelled including riding down Bolivia’s Death Road as one of her most memorable adventures. An experienced camper and fisherwoman, Tegan is looking forward to pushing her outdoor skills to the next level with building shelter and starting fires from scratch. Stephen Quartermain was all class as he signed off with a simple but emotive “thank you’’ as Channel 10’s Melbourne news anchor for the final time on Friday night, reports News Corp’s Fiona Byrne. And it was with a glass of 1997 Penfolds Grange that he acknowledged his tenure as the face of the network’s Melbourne bulletin. The respected journalist and accomplished presenter exited the newsdesk hot seat with quiet dignity after almost 33 years with Ten and more than three years as weekday newsreader. He is yet to make a decision about his future. He is contracted to Ten until the end of the year and the network is still keen for him to remain part of Melbourne news team as sports presenter. Queensland radio presenter Jess Eva has been revealed as a contestant on the upcoming season of The Block, reports News Corp’s Kristy Symonds. The 33-year-old 91.9 Sea FM breakfast host and fiancé Norm Hogan, 40, will compete against four other teams on the Channel 9 reality renovation series. The popular Sunshine Coast host (pictured) presents alongside Adam “BarRat” Barratt on their show BarRat and Jess between 5am and 9am on weekdays. It was previously revealed that Commonwealth Games champion Bianca Chatfield, 36, and fellow netball star Carla Dziwoki, 35, will represent Victoria. TV presenter Julia Zemiro has been appointed as new artistic director for the Adelaide Cabaret Festival, reports The Advertiser’s Matt Gilbertson. Many of us know Zemiro for her TV work, including hosting RocKwiz, Home Delivery, her years commentating the Eurovision Song Contest as well as hosting new Channel 7 singing competition All Together Now. But the French-born Aussie also has a long and varied background in live performance. A graduate of the Victorian College of the Arts, Zemiro’s stage work includes being an original cast member of the improvised stage show Spontaneous Broadway, a lead role in Adelaide’s Glynn Nicholas-penned musical Eurobeat and hosting the Comfort Zone for the Adelaide Festival in 2010. “With my RocKwiz background and being around with those musicians, the Eurovision experiences, my improv days, I’ve got this variety I can bring to the table,” she says. It is lucky seven for much-loved radio duo Dee Dee Dunleavy and Peter “Grubby” Stubbs, who will make a surprise but welcome return to breakfast radio next month, reports News Corp’s Fiona Byrne. Seven years after departing the breakfast shift at Gold FM, the pair will hold the fort for 3AW’s breakfast kings Ross Stevenson and John Burns while they take their mid-year ratings survey break. Stubbs and Dunleavy will host the all-important slot for a week, starting on July 9. Stubbs and Dunleavy are one of Melbourne’s most enduring radio partnerships, having hosted breakfast at Fox FM for 13 years and Gold FM for 12½ years. Australia’s former opener Michael Slater has been signed by Seven for its cricket coverage, which starts at the end of September this year. Slater was Australia’s aggressive stroke-playing star at the top of the order for a decade, including during the team’s golden run of success where they won a record 16 consecutive Tests in a row. The Slater signing follows the announcement recently that Australia’s highest ever run-scorer, Ricky Ponting, and “The Bowlologist” Damien Fleming will call Test matches and BBL on Seven.